About the book: Alex Foamer is in love . . . with the untouchable singles ward heartthrob who has no idea she exists. 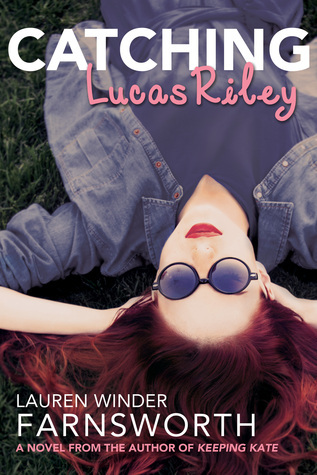 Enter Sealey Witchburn, the manipulative, sarcastic ward executive secretary, whose scheming is Alex's only chance to catch her crush’s attention. But when Alex actually wins the bid for her dream date, she gets more than she bargained for in this surprising LDS romance based on Hans Christian Andersen's The Little Mermaid. My review: This book was so much fun! I really liked Alex, I liked that she knew what she wanted (Lucas) and was willing to do pretty much anything to get what she wanted. I thought that it was pretty funny when she decided that Sealey knew that she had a crush on Lucas, so in order to not have him make that public, she went to him. It kind of seemed a bit bold, but that's Alex for you! She does things like that through the whole book, it really makes the whole plot work. And the way Sealey was made me laugh! He was completely willing to do anything he could to throw Lucas and Alex together, and some of the times it seemed like a bit of a detriment to Alex. I especially liked the Stake Date Auction scene where Alex gets her date with Lucas in the first place. The way Sealey spins this one was just hilarious! I liked Lucas, he seemed like a true gentleman. Part of the fun of this one is that you don't know what either Lucas or Sealey are thinking. The only point of view you get is Alex's, so you have no idea why either guy does what they do, and neither does Alex. I loved the whole love story in this one and I really enjoyed the ending! This was a fun, cute book that I didn't want to put down!